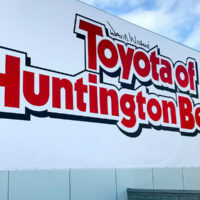 Custom vehicle graphics, car wraps, truck wraps, color change wraps, retail displays, window graphics, floor graphics, banners, wall murals, decals, signs and all types of large format printing. Partial wraps are our specialty. 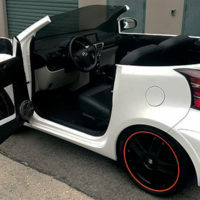 Stand out with custom graphics on any vehicle. 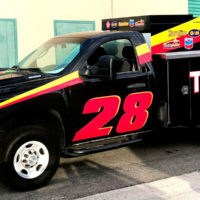 Partial Wraps are an affordable way to get your brand noticed on the road ! 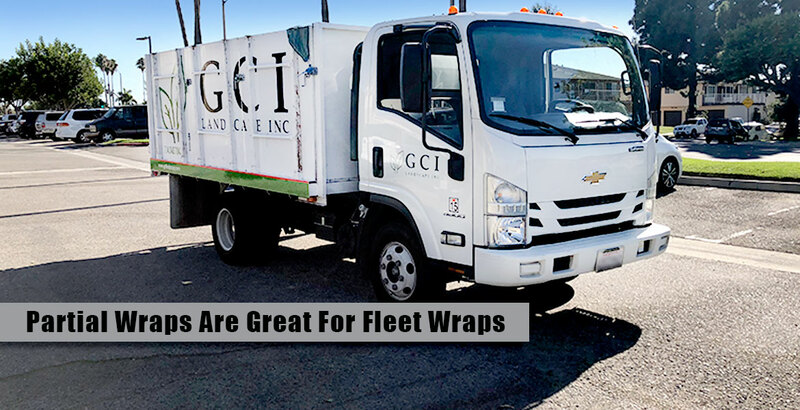 Corporate fleet wraps are a great marketing tool and even a partial wrap or decal kit can leave a lasting impression. 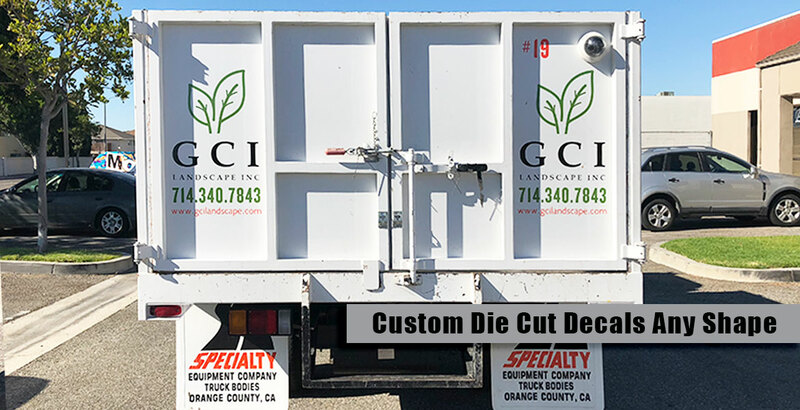 Custom fleet wraps make are an innovative way to get your brand out there, especially in populated and busy roads. 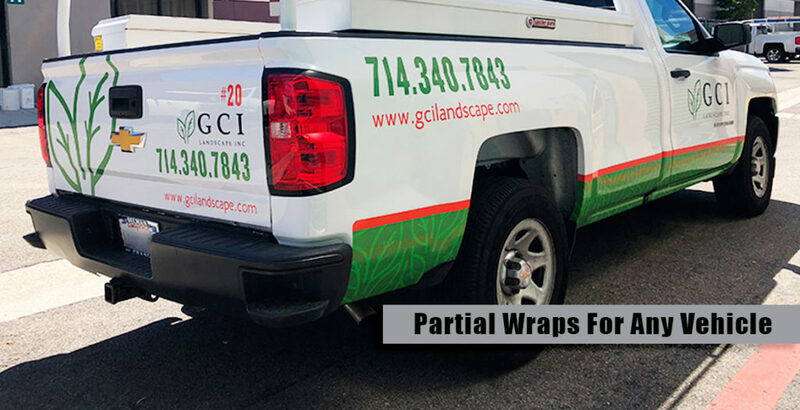 Any wrap for your company’s fleet is a great use of mobile advertising in a large audience but a partial wrap tend to be the choice for a more conservative business appearance. 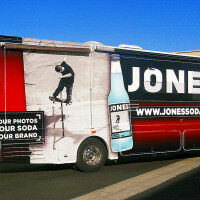 Partial wraps are cost effective for any size business because Monster Image can creatively work with any budget. 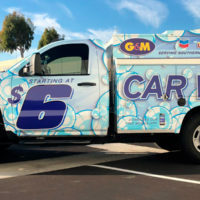 Vehicle wraps are not only for larger commercial businesses. 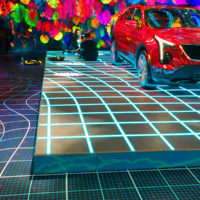 Smaller brands can now invest in community exposure with a custom car wrap. Don’t miss out on reaching more customers on a casual commute. 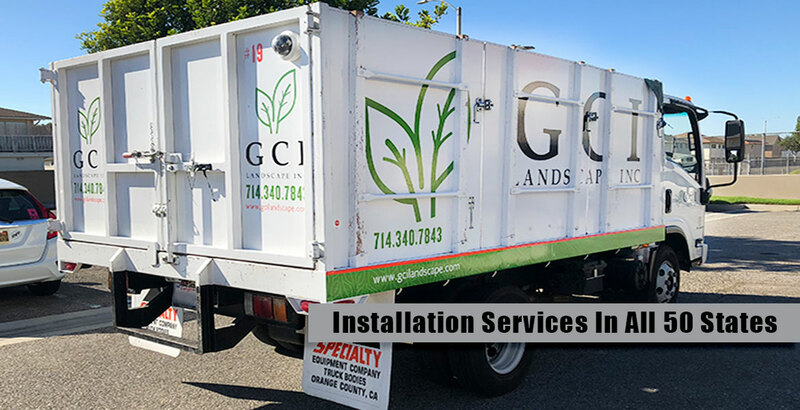 GCI Landscape treats each commercial property like its own, working diligently to establish and maintain an attractive and healthy landscape. 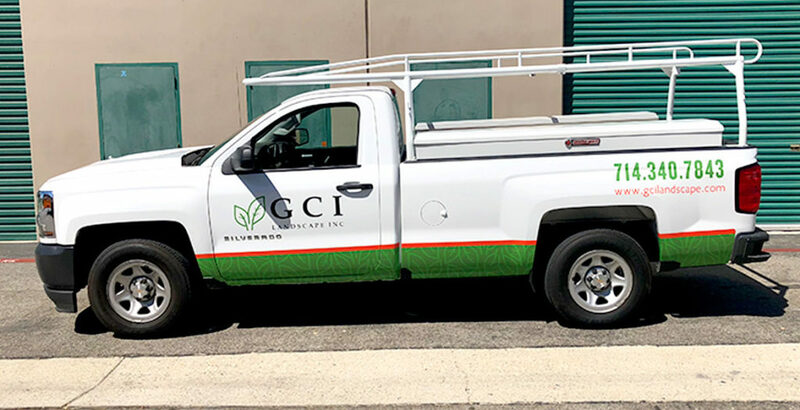 GCI Landscape wanted a clean and professional design for their quickly growing business. 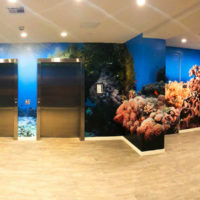 The team at Monster Image works from concept to installation in house. 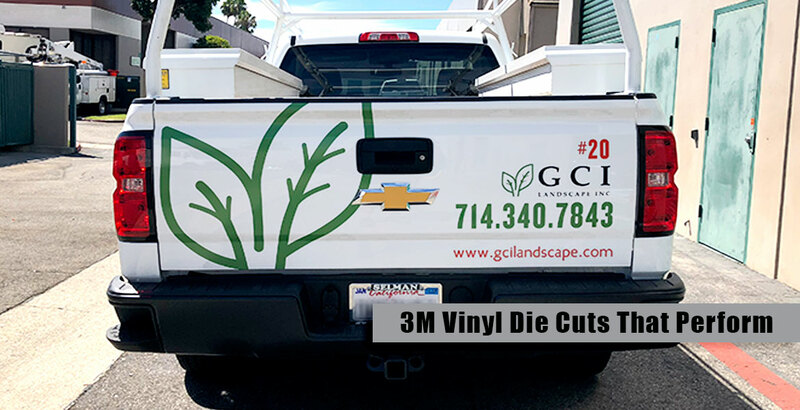 We can modify your logo and graphics to fit any vehicle no matter how how models you have in your fleet of vehicles.These die cuts were made from 3M Controltac and you can see how vibrant the colors appear. 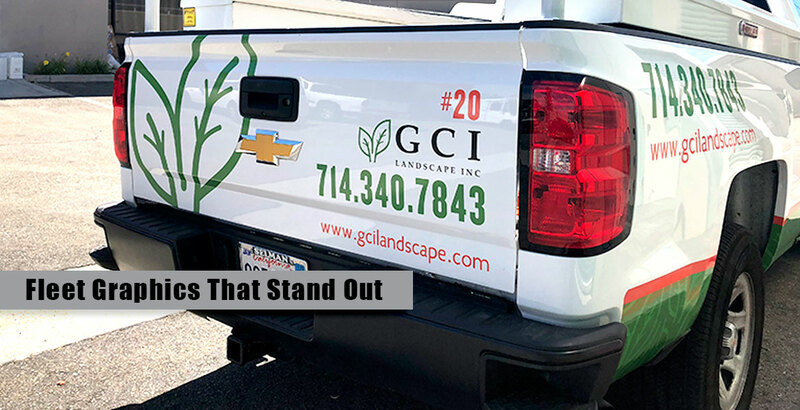 Whether you need a color change, customize your fleet, car wrap, truck wrap, complex vehicle wrap design, graphic decals, partial wrap; we can customize your fleet to stand out above the competition. 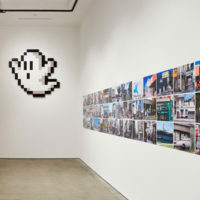 Located outside of California? No problem! 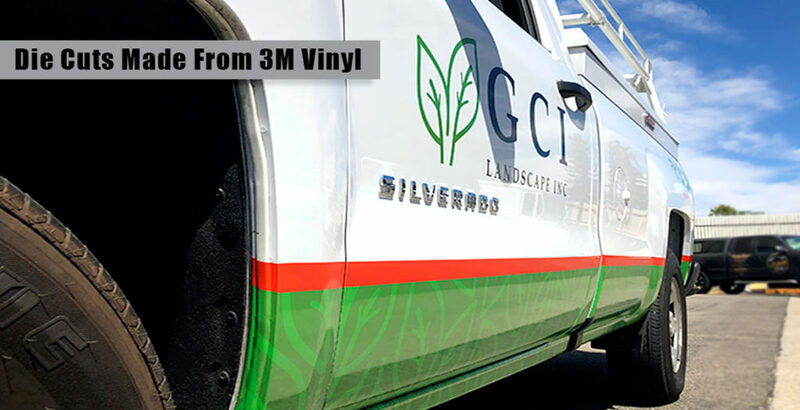 We have installers nationwide that can are 3M certified. 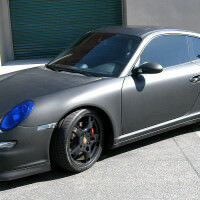 Our 3M vinyl and 3M laminates will protect your vehicle from paint swirls and UV damage. 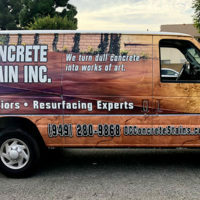 What if your vehicle wrap gets damaged? 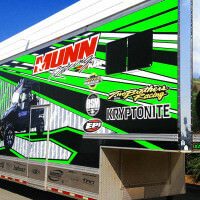 No problem, Monster Image stores your graphics on file so we can re-print a panel of your wrap if an accident occurs. 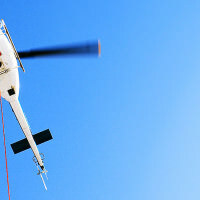 Depending on the extent of the damage there are several things we can do. 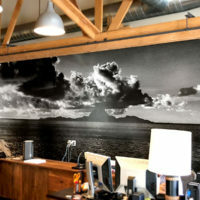 If you take good care of your vinyl graphics you can get years of vibrant life out of it. Call the Monster Image team today at (714)596-7465 to get a custom quote. 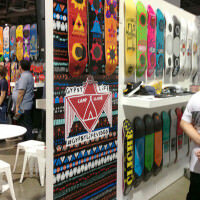 We look forward to assisting you with your company wraps.